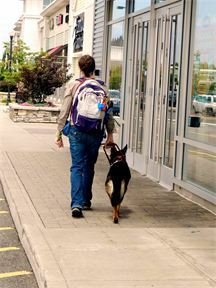 Heeling Allies privately trains Mental Health Service Dogs, Emotional Support Dogs and Skilled Companion Dogs that enrich the lives of qualified individuals living with certain psychological, neurological and developmental impairments. 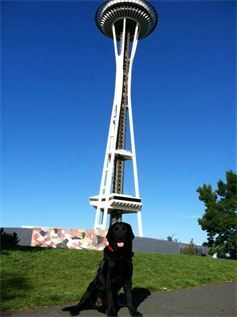 “Before my service dog, Shaena, I was missing more than half of my college classes because of my agoraphobia. Because of her help, I am now able to attend school very nearly anxiety-free. Shaena is the difference between me being able to finish my college degree, and remaining disabled and dependent for the rest of my life”. 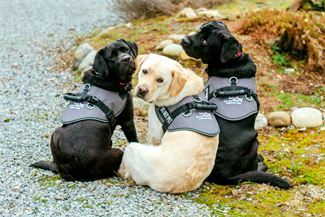 • Heeling Allies is currently offering service dog training, coaching, evaluation and consulting services for owner-trainers and service dog handlers on a case by case basis in the Puget Sound area. • Heeling Allies continues to offer consulting services and support to fellow service dog organizations, healthcare providers and, families and loved ones of service dog handlers. • Heeling Allies is not placing service dogs, emotional support dogs or skilled companion dogs at this time therefore it is not currently accepting new client applications. • If you are interested in being paired with a program trained dog or for any assistance dog related information, please visit the following websites: Assistance Dogs International (ADI) and International Association of Assistance Dog Partners (IAADP). • Visit heelingalliesproject.org to see what the Heeling Allies team is up to now.